I have an exciting giveaway for you this morning! 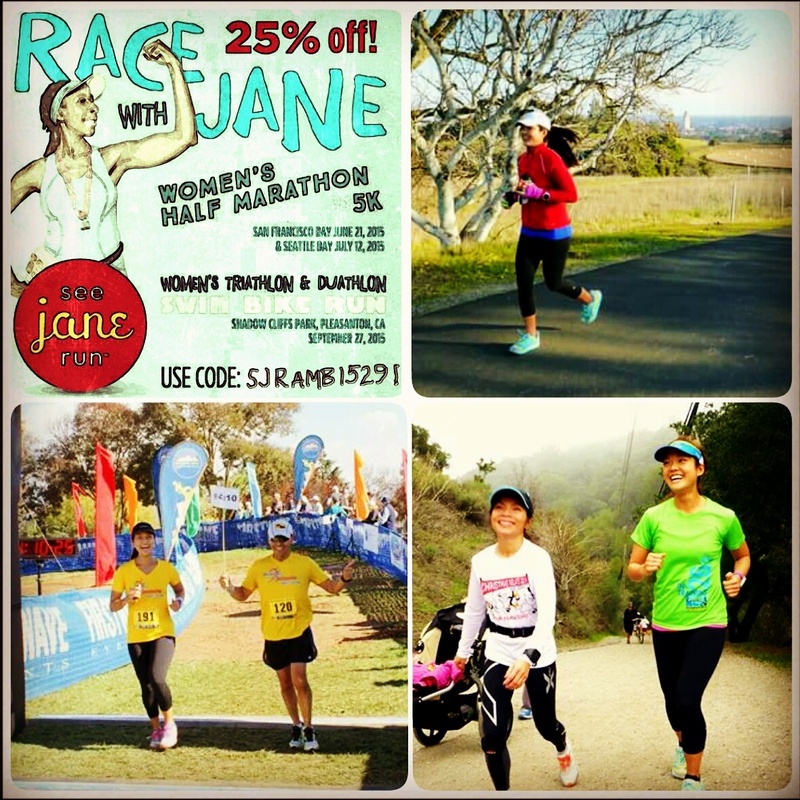 Remember when I announced that I am one of the 2015 See Jane Run Ambassadors? Well they are allowing ambassadors to give away one free entry into one of their races. 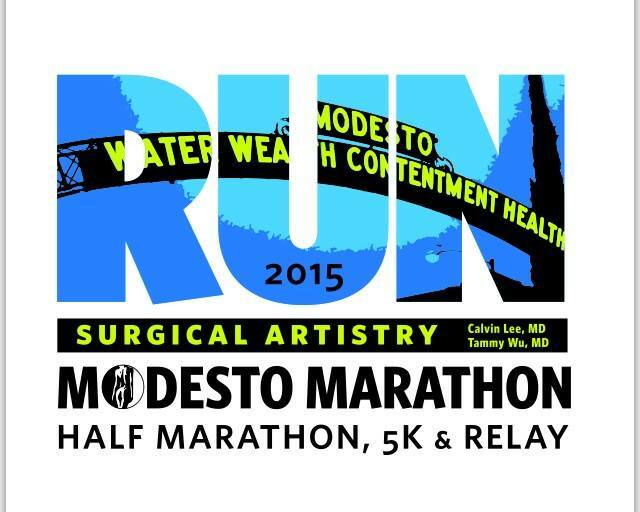 They have a 5K, half marathon, duathlon, and triathlon (currently in the San Francisco Bay, Pleasanton, and Seattle. They are starting ones up in Los Angeles and San Antonio next year). Though these races are focused toward women, men are welcome to join! 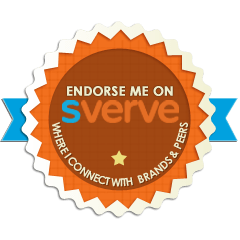 – SJR wants to inspire women to participate in sports and fitness. – SJR welcomes all shapes, sizes, ages, and athletic abilities! Sounds good, yeah? I can get on board with that :). 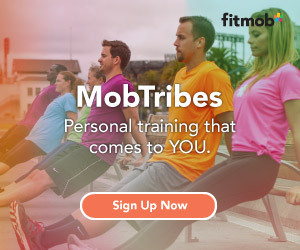 I definitely suggest you sign up with a friend/family member so that you can keep each other accountable and have fun while training! Another incentive: You can celebrate with chocolate and champagne after the race! In addition, you can enjoy the women-specific expo (food, apparel, massages). Buying clothes while enjoying a champagne and chocolate buzz? That sounds awesome, haha. If you and your friends want to put it on your race calendar right, use the code: SJRAMB15291 to save 25% on the online registration! You can simultaneously get in shape for summer while training! 2. ‘Like’ Blessedwiththunderthighs on Facebook and enter a separate comment telling me you did so (or comment that you already ‘liked’ it). 3. Follow me on Instagram and tell me in a separate comment that you are following me (or comment that you already follow me). Be sure to tell me your IG handle. 4. ‘Like’ See Jane Run on Facebook and write a separate comment that you did so. Even better, let them know Blessedwiththunderthighs sent you! That’s right! You can get up to a total of 4 entries for chance to win one free entry to any 2015 See Jane Run races! [Giveaway ends on Wednesday, 3/4/15, at 11:59pm. Winner will be announced on Thursday, 3/5/15. Winner will have one week to claim the giveaway prize]. My favorite post-race treat is definitely brunch! (Could be anything but I do love chicken and waffles.) Immediately post-race I love chocolate milk though. I liked your Facebook page + look forward to getting updates! I follow you on Instagram (well, I thought I did already) + my username is @jgambacurta. And finally, I like See Jane Run on Facebook! Fingers crossed. I’m moving to the Bay Area in March and I’m excited to race in the area. This sounds like a really great race and I love its mission. I like to have a bagel or pizza! Hello! You won the giveaway! Please email me at meeshelkim@gmail.com and I can give you the code to register! Hello! This is the last day to claim your giveaway prize! Please email me at meeshelkim@gmail.com.